With over a century of proper field performance in other parts of the world, tiles provide the longest track record of performance, compared to other roofing materials such as asphalt shingles. Tile Roof engineering design provides a natural water shedding and ventilation feature allowing tiles to be the primary roof covering in warm climates. The higher weight and strength allows tile to meet the anticipated loads of today’s design requirements for all the Florida area. Roof tiles come in many colors, shapes, and sizes. In fact, with modern innovations, Florida concrete and clay roof tile manufacturers can produce tiles to suit any architectural style, from authentic Spanish and Mediterranean to New England Colonial, historic, or contemporary. Roof tiles can be flat or round, simulate wood shakes, or seek to replicate centuries-old roofing materials. The possibilities are virtually limitless. Colors in tile come from natural sources such as the color and mixture of the clay used in clay tiles or from iron oxide pigments in concrete tiles, both of which are extremely durable. Tiles in Florida may experience varying degrees of color softening after extended exposure to the elements. However, this occurs to a lesser degree with roof tile in Tampa than with most other roofing materials. Some Florida clay roof tile manufacturers guarantee their tiles against fading for 50 years. To maintain their long-lasting beauty, the weight of tile is important because it provides enduring protection without developing problems like other roofing materials. Most homes built today in FL are strong enough to support the weight of a tile roof. There are also varieties of lightweight tile offered that are ideal for new and re-roofing projects. Tile is fast becoming the re-roofing product of choice in Florida due not only to its durability but also to its ease of maintenance. Single tiles are much easier to repair than other roofing materials. Due to its resistance to severe Florida weather, concrete and clay tiles continue to be the preferred roofing material among homeowners in the Tampa, Florida area. With proper installation, tile roofing is one of a few select roofing systems that is proven to withstand sustained winds of 150 miles per hour found in Florida. Clay and concrete tile roofs are one of the most cost-effective choices for Tampa Florida Homeowners Associations due to their long lifespan—50 to 100 years or more. Both concrete and clay tile outlast other roofing materials, with Florida Tile Roofing manufacturers offering warranties from 50 years to the life of the structure. In fact, in Asia and Europe, many structures with clay roof tiles have remained intact, functional and beautiful for centuries. All Florida roofing systems require some maintenance, and certain Homeowners have special issues to address regardless of the type of roofing system. 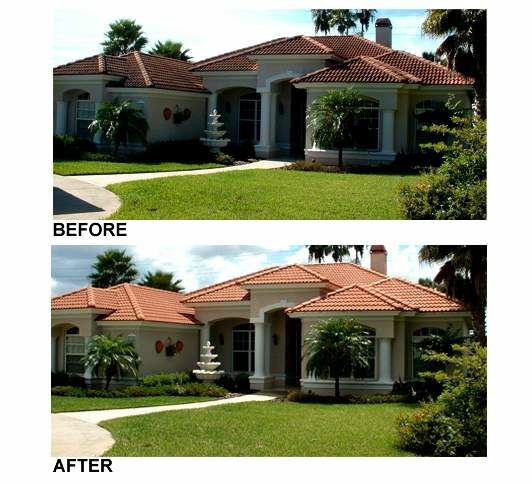 Under normal Florida weather conditions, tile roofs require minimal maintenance. With tile, maintenance is restricted to gutters, protrusion flashings, and venting. With other, roofing systems, maintenance may include coating, painting, cleaning, and/or sealing much of the roof surface. Give us a call we can help, and go through your different roofing options.